Be glamorous, cute, and punk all with the Super Model Blue Wig. 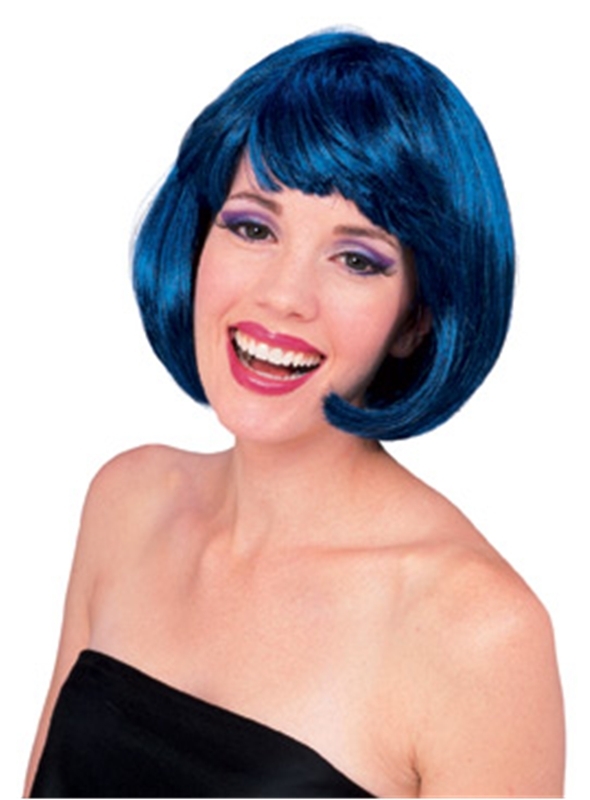 This wig features chin length hair with straight bangs in an indigo blue color that shines for a fun and beautiful touch to any costume or outfit. This is a great choice for a varied of looks, and it fits so many different Halloween costume themes, including Fairies.